A North Shore family is now seeking legal advice after finding out the offer they’d made on a home in their dream neighbourhood hadn’t been accepted the way they thought. Scott MacPherson told CTV News Vancouver they had been trying to find a home in a particular North Vancouver neighbourhood for about 1 ½ years. He said they have family and friends there, and hoped their two young children would grow up there. So when a listing came up on Friday for a three-bedroom home in that very area, MacPherson said they jumped at the opportunity and offered the asking price of just under $1.4 million. “In a marketplace where we’d seen, especially in this neighbourhood, properties go quickly, we had put a tight time frame for them to respond,” MacPherson said. He told CTV their realtor contacted them the next day with news that sounded positive. “They had signed, they had agreed to all the major business terms if you will, or the major terms of the contract, the price, our conditions. They were fine with our subjects,” he said. MacPherson, who works in the commercial side of the real estate industry himself, added the sellers had just removed two clauses, and he told his realtor he and his wife would accept the counter offer. Then, MacPherson said he and his family started celebrating. MacPherson described the next message from their realtor, just a short while later, as a shock. He said she asked if they would consider increasing their offer, as other buyers were making bids. Bell Alliance real estate lawyer Lisa Niro said a contract in writing that’s signed by both parties provides the greatest amount of certainty. “If you have a situation where a seller crosses out some items in the contract, makes a few changes, and initials it, the only way that contract is actually a binding offer now is if it goes back to the buyer and the buyer initials those same changes,” Niro told CTV. She added cases like this do happen occasionally, especially in a rising or falling market. Niro said other than having something in writing, a contract could also be seen as enforceable if someone's taken an action like accepting a deposit, or suffers a detriment, like buying or selling another place while expecting the deal to go through. “There have been cases that have gone to court throughout Canada that look at whether, you know, email correspondences between a buyer and a seller constitute a binding agreement for land.” Niro noted, and added in a court case in New Brunswick in 2011, the court initially upheld emails as constituting a legitimate contract, but that decision was later appealed and overturned. MacPherson’s real estate brokerage is not commenting. 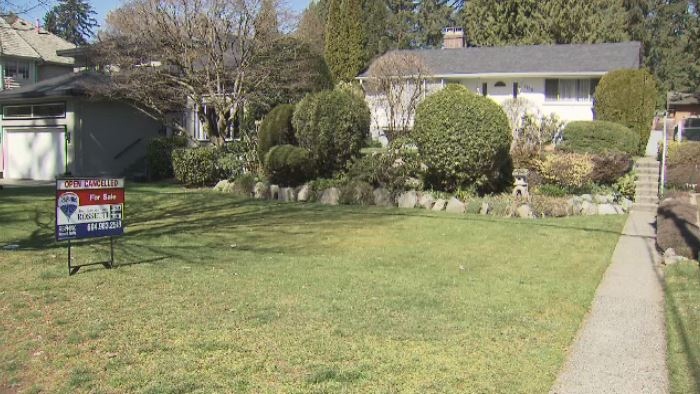 Scott MacPherson told CTV News Vancouver his family had been trying to find a home in a particular North Vancouver neighbourhood for about 1 ½ years when a listing came up for this three-bedroom home.